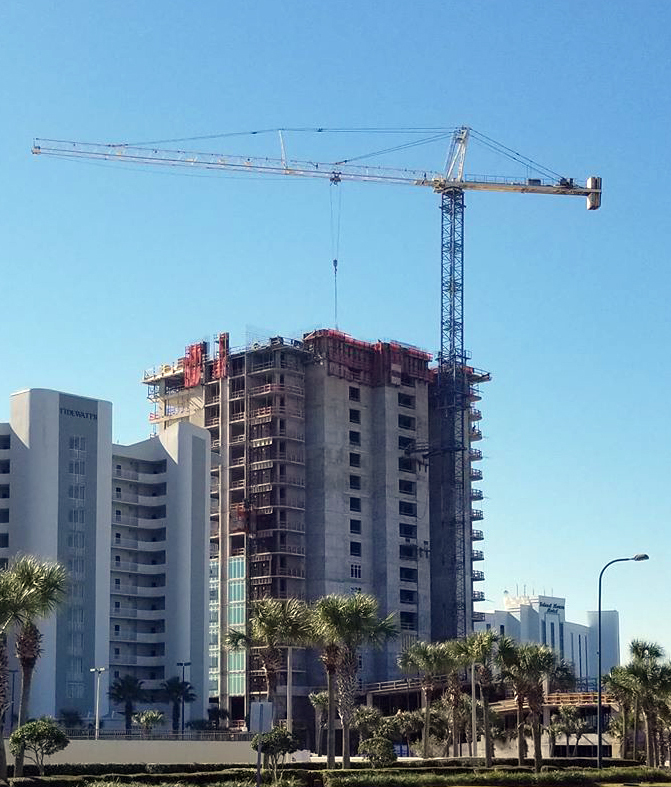 Currently under construction, Phoenix Orange Beach II is the newest condo development to transform the city's skyline. The high-rise is set to be constructed in central Orange Beach nestled between popular beachfront complexes Tidewater & Island House Hotel and centrally located to several shopping plazas, great seafood restaurants, and large grocery chains, Publix and Wal-Mart. Directly across the street is Zeke's Landing and Marina offering full and half-day fishing charters either offshore or inshore. The building's design and exterior will be similar to sister development, Phoenix Orange Beach which is located just over one mile to the west. The development will house 120 units available in two-, three-, or four-bedroom floor layouts with direct views of the Gulf of Mexico and sugar-white beaches. Each condo will offer well-appointed features including stainless steel modern appliances, full-height cabinets with granite countertops, large tile flooring, and panoramic floor-to-ceiling glass. Master bedrooms will offer gulf views with direct balcony access and en-suites bathrooms will feature jacuzzi-style jetted tubs and large glass-framed tiled showers. 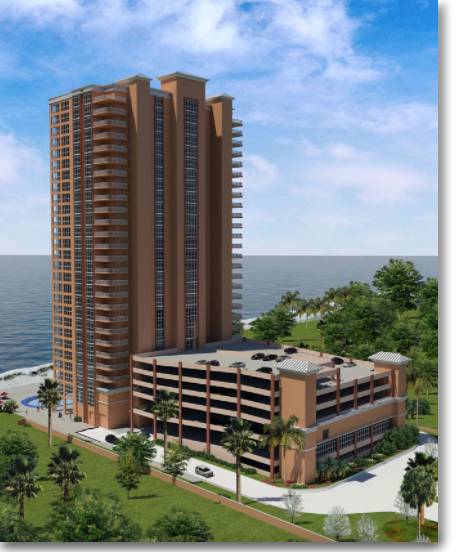 Spacious gulf front balconies will span to over 30 feet in length and offer endless views of the Gulf of Mexico horizon and will overlook boats coming in and out of Perdido Pass. Each of the tower's 27 floors will provide climate-controlled hallways for added comfort especially during hot summer days. Phoenix Orange Beach 2 will feature resort-like amenities including a beachfront pool, kiddie pool, and wraparound lazy river. Other amenities include a heated indoor pool, hot tubs, fitness center, conference room, multi-level covered parking, and temperature-controlled storage units. Phoenix Orange Beach 2 promises to be an excellent investment property with high-grossing rental revenues comparable to Phoenix West and Phoenix West II condominiums. 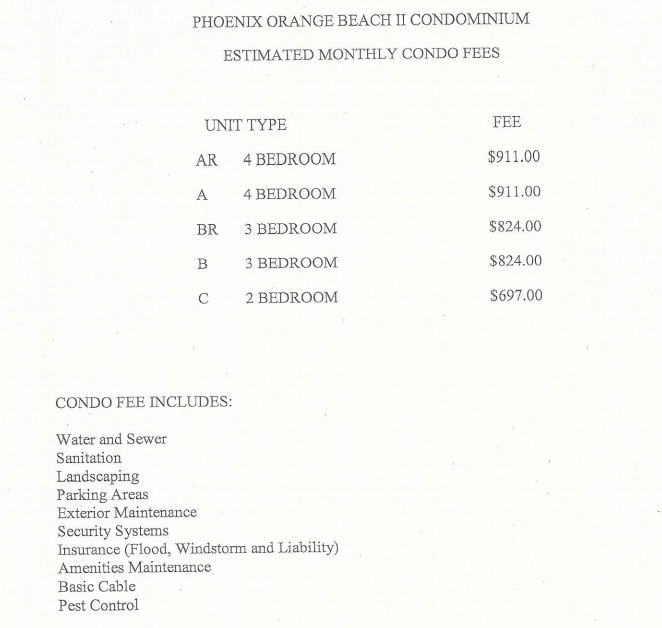 Phoenix Orange Beach II is almost sold out with just a handful of units left . Don't miss out on this amazing opportunity to own a unit in the most desirable location in Orange Beach. Please let us know if you would like further information for Phoenix Orange Beach II, other condos and homes, or real estate along the Gulf Coast by emailing info@condoinvestment.comor by calling (251) Area-Pro (251-273-2776) for immediate assistance. There are many new condo developments arising in the area, visit our pre-construction condos page to find a current list of pre-construction projects. Please contact us to discuss financing options at (251) 504-1121.